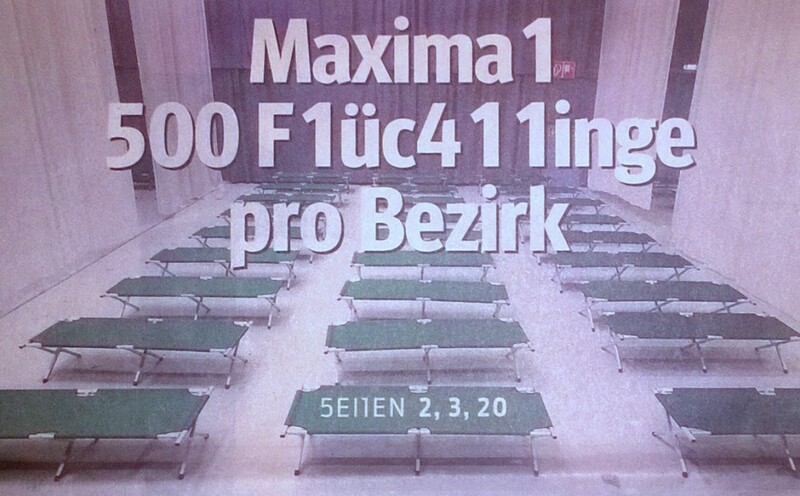 As always: The boring things go first! There’s some knowledge captured in them, but if you’re the impatient one (like me ;)) -> get over it! SSL/TLS: secure socket layer – now more correctly referred to as “transport layer security” – is a crypto protocol which on the one hand ensures that the web server’s identity which is accessed is securely confirmed and on the other hand supports encryption of the connection between a client (browser) and a web server. What happens when surfing https in your browser? The “s” in https says: This is an SSL connection. When accessing a web server via https, your browser expects a cert being presented by the server. So, if e.g. you’re going to https://www.yourbankaccount.com and the cert holds “www.yourbankaccount.com” and your browser can read from the cert chain, that it can trust this cert, all will be fine and you can safely access that server. How can trust be established? As explained above, trust is confirmed through a chain of certificates. 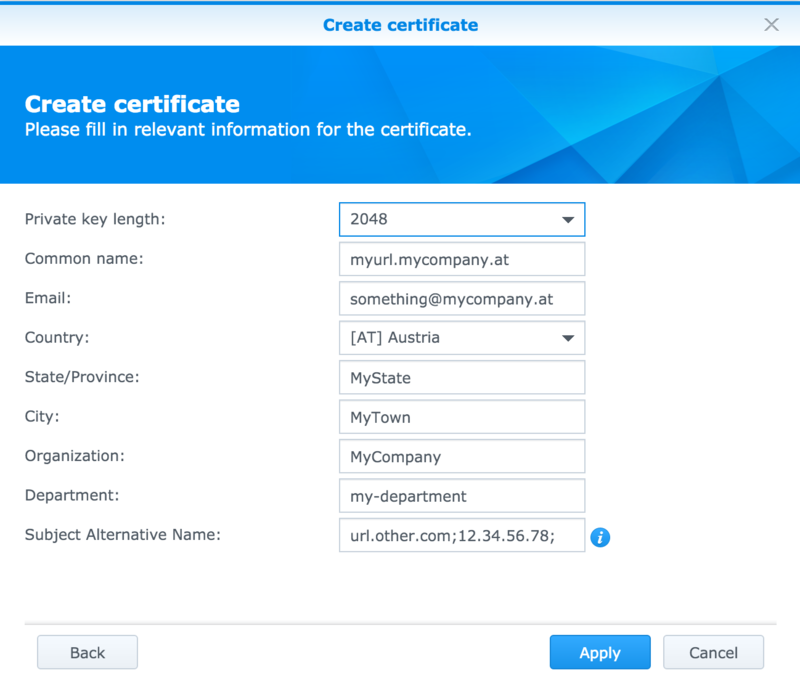 The last cert in the chain (say: the Root-CA cert) says “yes, that cert you’re showing me is OK”; the next one (say: the intermediary) says “yes, that next one is OK, too” … and so on until eventually the first cert – the one having been presented to your browser – is confirmed to be OK.
And how could it do that: Because, that last cert in the chain is one of a commonly trusted, public CA; commonly trusted authorities are e.g. Symantec (who purchased Verisign), Comodo, GoDaddy, DigiCert, … (wikipedia has a list plus some references to studies and surveys). And finally: How can YOU get hold of a cert for YOUR web server, that is confirmed by one of those trusted certificate authorities? By paying them money to sign your cert. As simple as that. Do you wanna do that just for your home disk station? No – of course not. 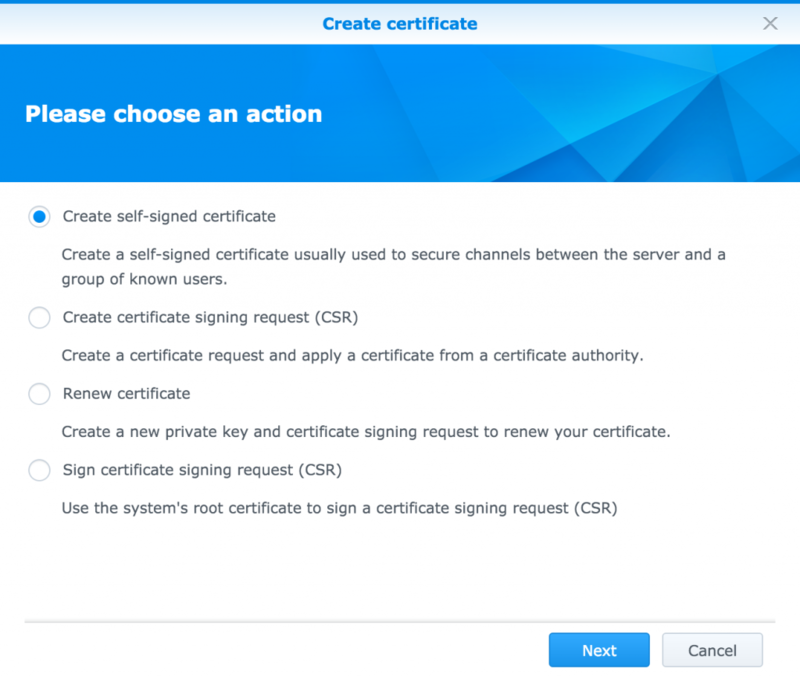 Now: What does Synology do? Your disk station (whatever vendor, most probably) offers browser access for administration and so … plus a lot of other services that can be (and should be) accessed via SSL, hence: you need a cert. 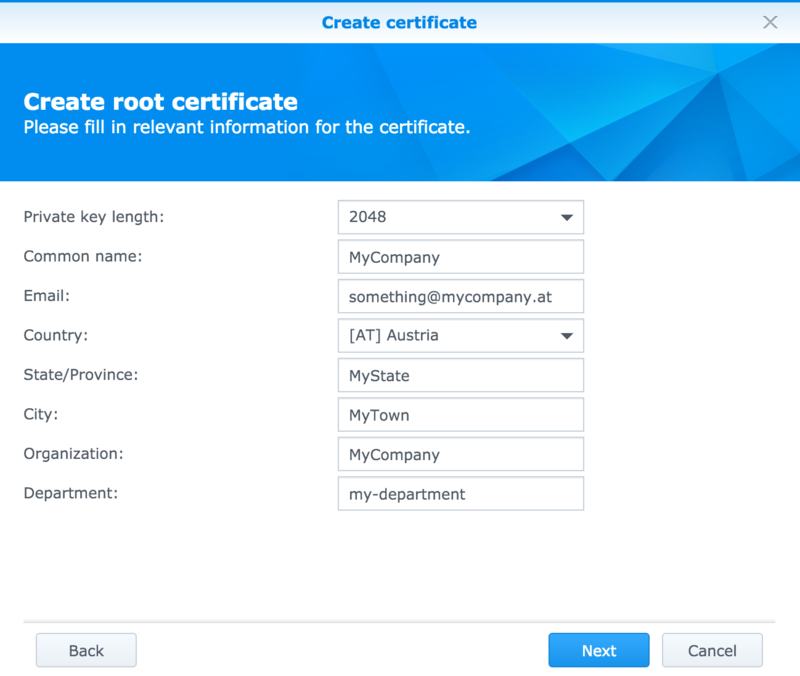 Synology has certificate management in the control panel (rightmost tab in “Security”). The second server.crt + server.key file would be the one to be uploaded into your second disc station by using the “Import certificate” button right next to “Create certificate” in the control panel. What did I do in fact? Now both my disc stations have valid certificates + corresponding private keys installed and working. Well, not quite. How would any browser in the world know that my certificates can be trusted? Mind, we’re using self-signed certs here; the CA is my own disc station; this is nowhere mentioned in any trusted cert stores of any computer (hopefully ;)). What I can do next is distribute the cert files to clients that I want to provide with secure access to my disc station. The 2 other cert files should now read “The certificate is valid” in the information on top. With that, the respective client now trusts your disc station servers; browsers on your client would not issue a security warning anymore, when accessing your disc station. 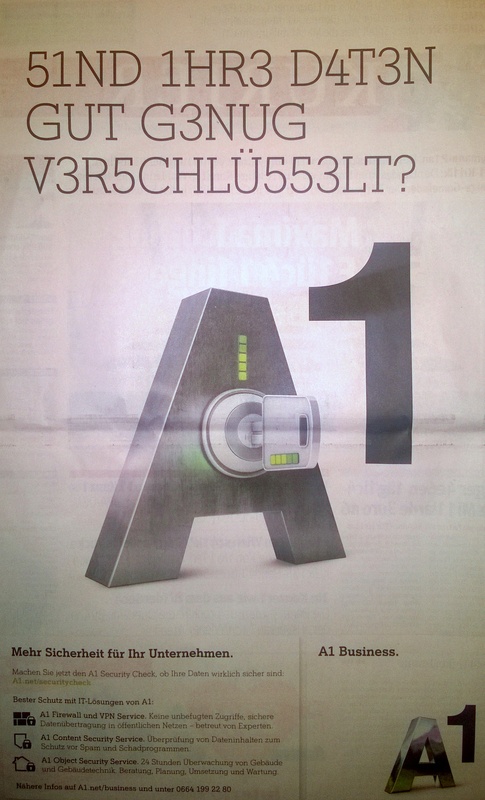 Well … ähm … no! And is this the ultimate solution? Well … I guess … not so, because: I cannot really easily distribute all my cert files to anyone who’d possibly need to access my disc stations. This is were commonly trusted, public CAs come into play. Money makes the world go ’round, isn’t it? 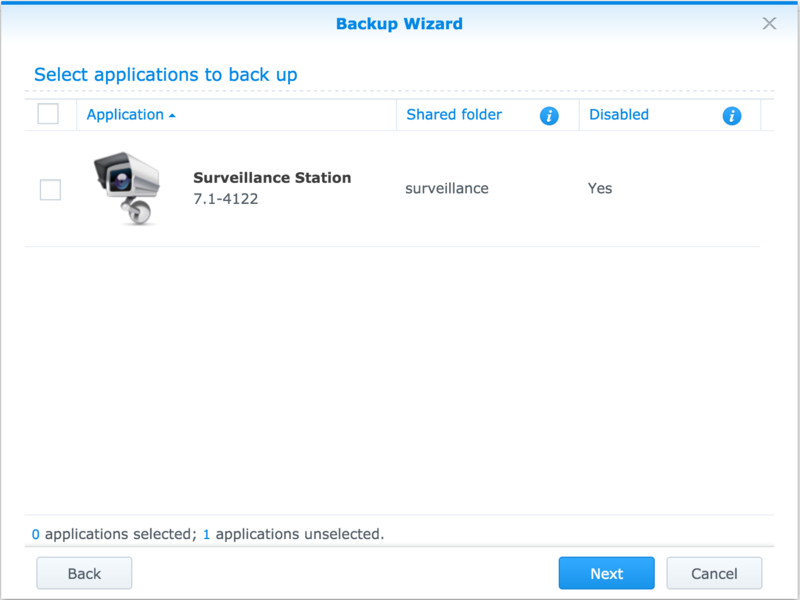 My current NAS used to be a Synology DS411 (4 2TB discs, Synology Hybrid Raid – SHR – which essentially is RAID5). My new one is now a DS416 (same configuration; I just upgraded discs in a way that both NASs now run 2 2TB and 2 3TB discs – mainly disc lifetime considerations were leading to this, and the fact that I didn’t wanna throw away still-good harddiscs (if you’re interested in the upgrade process, just post a quick comment and I’ll come back to that gladly – but with Synology that’s pretty straight forward). Which of the data is really needed actively and where? Conclusion: For some of the data incremental geo-backup suffices fully; other data needs to be replicated to the respective other location but kept read-only; for some data I wanted to have readable replications on both locations. Of all the public cloud backup clients (ElephantDrive, HiDrive, Symform and Glacier) AWS Glacier seemed the most attractive as I’m constantly working within AWS anyway and I wasn’t keen on diving into extended analysis of the others. However, Glacier costs for an estimate of 3 TB would be $36 in Frankfurt and $21 in the US. Per month. Still quite a bit when already running 2 disc stations anyway which both are far from being over-consumed – yet. 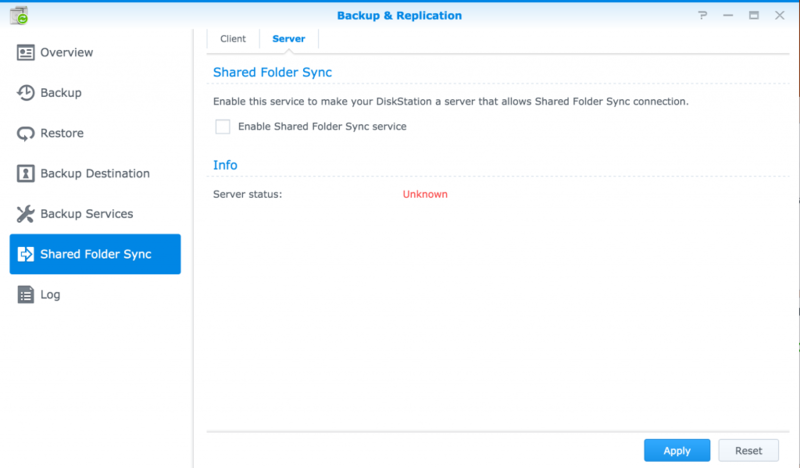 Synology “Cloud Sync” (see screen shot above) isn’t really backup: It’s a way of replicating files and folders from your NAS to some public cloud file service like GoogleDrive or Dropbox. I can confirm, it works flawlessly, but is no more than a bit of a playground if one intends to have some files available publicly – for whatever reason (I use it to easily mirror and share my collection of papers with others without granting them access to my NAS). Synology Cloud Station – mind(!) 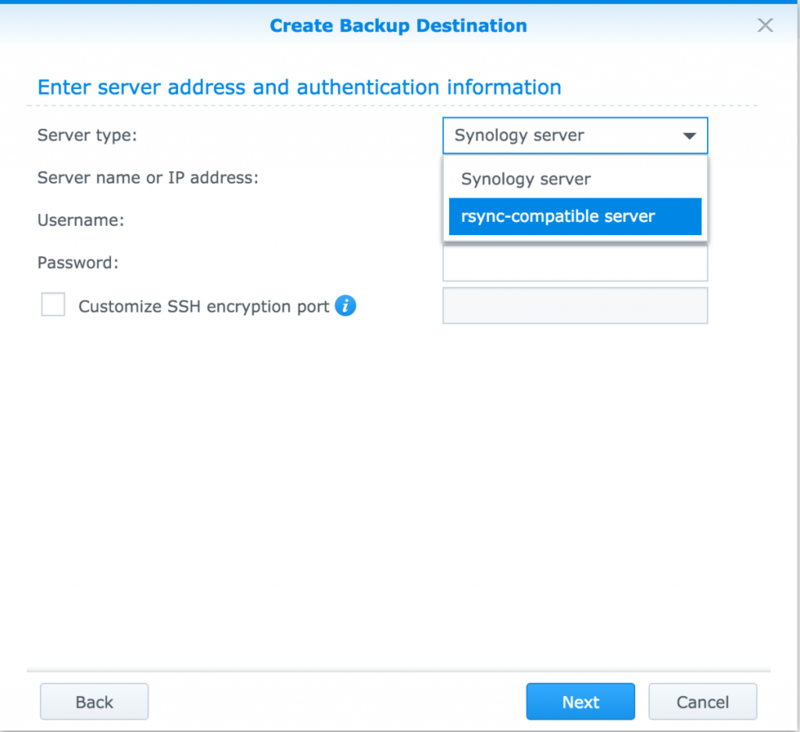 – is IMHO one of the best tools that Synology did so far (besides DSM itself). It’s pretty reliable – in my case – and even offers NAS-2-NAS synchronization of files and folders; hence, we’ll get back to this piece a little later. Finally – and that’s key for what’s to come – there’s the DSM built-in “Backup & Replication” options to be found in the App Launcher. And this is mainly what I bothered with in the first few days of running two of these beasts. So what’s wrong with syncing? Cloud Station is one of the best private cloud file synchronization solutions I ever experienced; dropbox has a comparable user experience (and is still the service caring least about data privacy). So – anyway, I could just have setup the whole of the two NASs to sync using Cloud Station. Make one station the master and connect all my devices to it and make the other the backup station and connect it to the master, either. 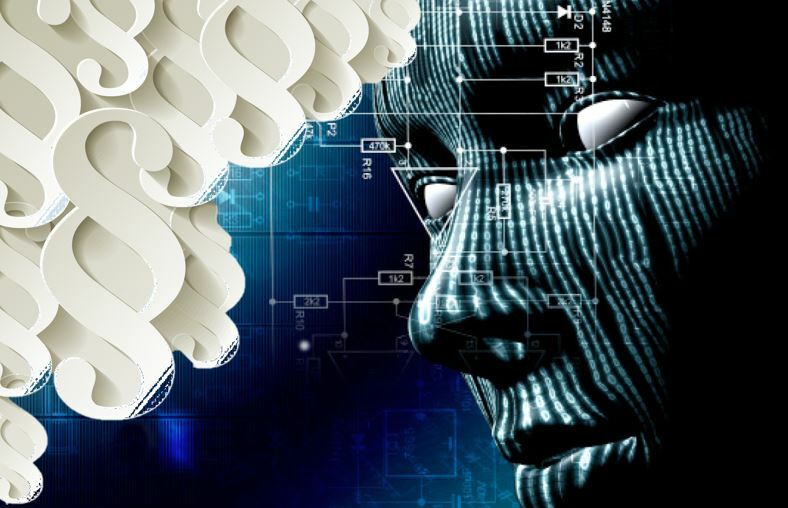 However, the thought of awaiting the initial sync for that amount of data – especially as quite a bit of it was vastly static – let me disregard this option in the first place. Shared Folder Sync sounded like a convenient idea to try. It’s configuration is pretty straight forward. The destination station needs to have the backup service running; so that is the first thing to go for. 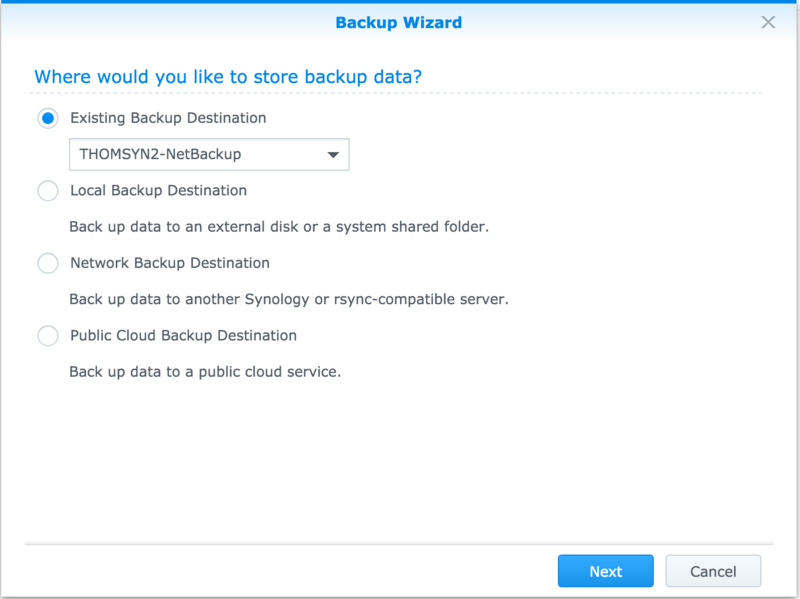 Launching the backup service is essentially kicking off an rsync server which can accept rsync requests from any source (this would even enable your disc station to accept workstation backups from pc, notebook, etc., if they’re capable of running rsync). NOTE: I do always consider to change the standard ports (22 in this case) to something unfamiliar - for security reasons (see this post: that habit saved me once)! Other than that, one just enables the service and decides on possible data transfer speed limits (which can even be scheduled). The “Time Backup” tab allows enabling the service for accepting time backups; (update) and third tab makes volume backups possible by just ticking a checkbox. But that’s essentially it. In order to accept sync client linkage, the target disc station needs to have the shared folder sync server enabled, additionally to the backup service. As the screenshot suggests, this is no big deal, really. Mind, though, that it is also here, where you check and release any linked shared folders (a button would appear under server status, where this can be done). Once “Apply” is hit, the disc station is ready to accept shared folder sync requests. In this very page it says: “I understand that if the selected destination contains folders with identical names as source folders, the folders at destination will be renamed. If they don’t exist at destination they will be created.” – You can’t proceed without explicitly accepting this by checking the box. Finally, a confirmation page allows verification – or, by going back, correction – of settings and when “Apply” is hit, the service commences its work. 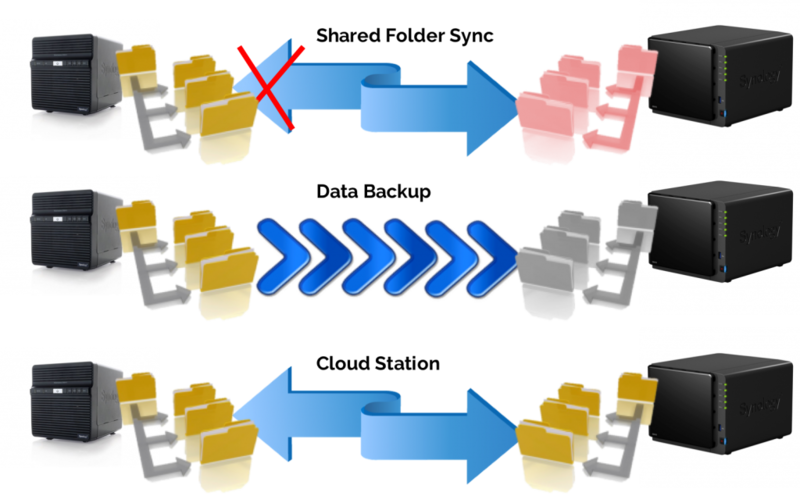 Shared Folder Sync essentially copies contents of selected shared folders to shared folders on the destination disc station. As mentioned above, it initially needs to explicitly create its link folder on the destination, so don’t create any folders in advance when using this service. “Changing its privilege settings may cause sync errors.” – WTF! Any IT guy knows, that “may” in essence means “will”. So, hands off! I randomly experienced failures being reported during execution which I couldn’t track down to their root cause via the log. It just said “sync failed”. 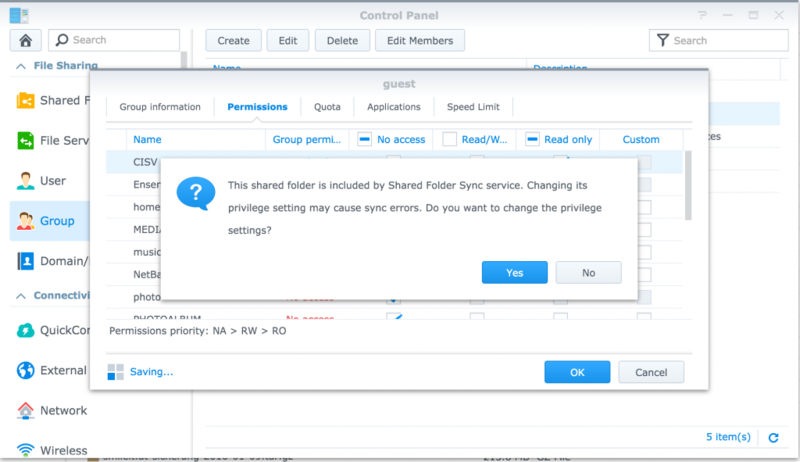 Eventually, a closer look into Synology’s online documentation reveals: “Shared Folder Sync is a one way sync solution, meaning that the files at the source will be synced to the destination, but not the other way around. 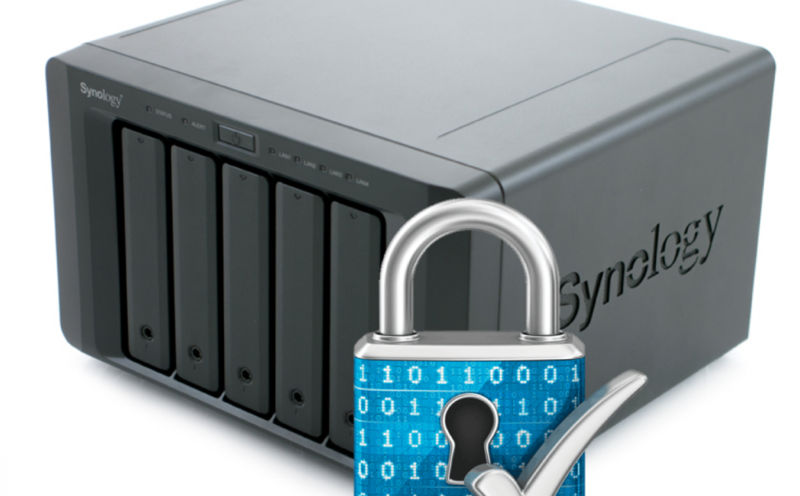 If you are looking for a 2-way sync solution, please use Cloud Station.” – Synology! Hey! Something like this isn’t called “synchronization”, that’s a copy! As was previously mentioned, the destination station needs to have the backup service running; this also creates a new – administrable, in this case – shared folder “NetBackup” which could (but doesn’t need to) be the target for all backups. Even at this place – besides “Local” (which would e.g. 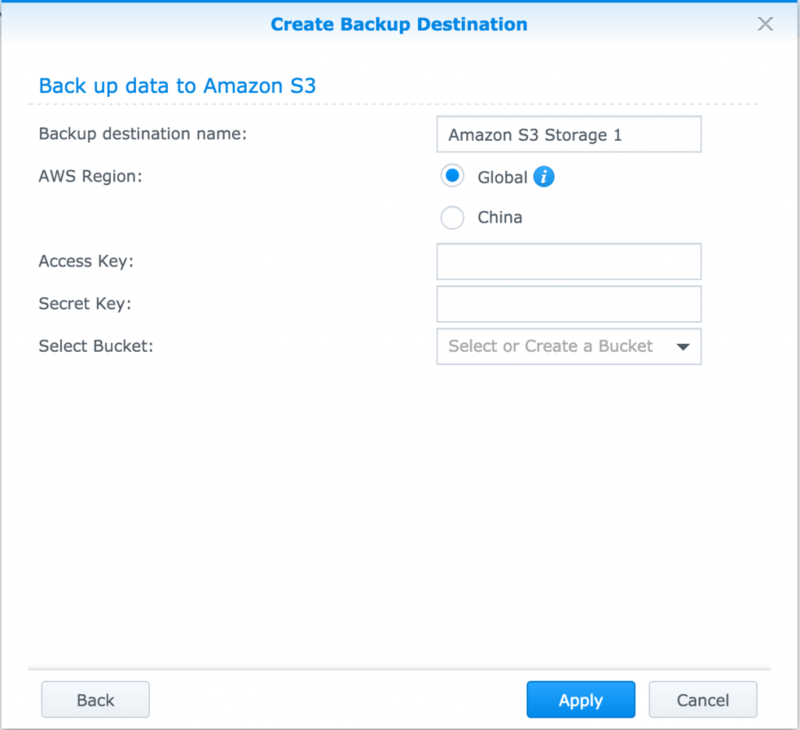 be another volume or some USB attached harddisc) and “Network”- it is still possible to push backups to AWS S3 or other public cloud services by chosing “Public Cloud Backup Destination” (see following screenshots for S3). Secondly, decide on which kind of target backup data format to use. 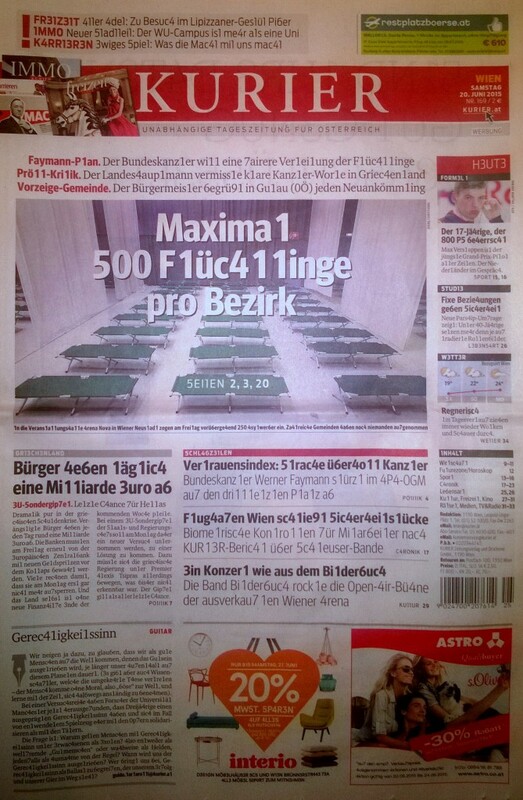 The screenshot below is self-explaining: Either go for a multi-version solution or a readable one (there we go!). 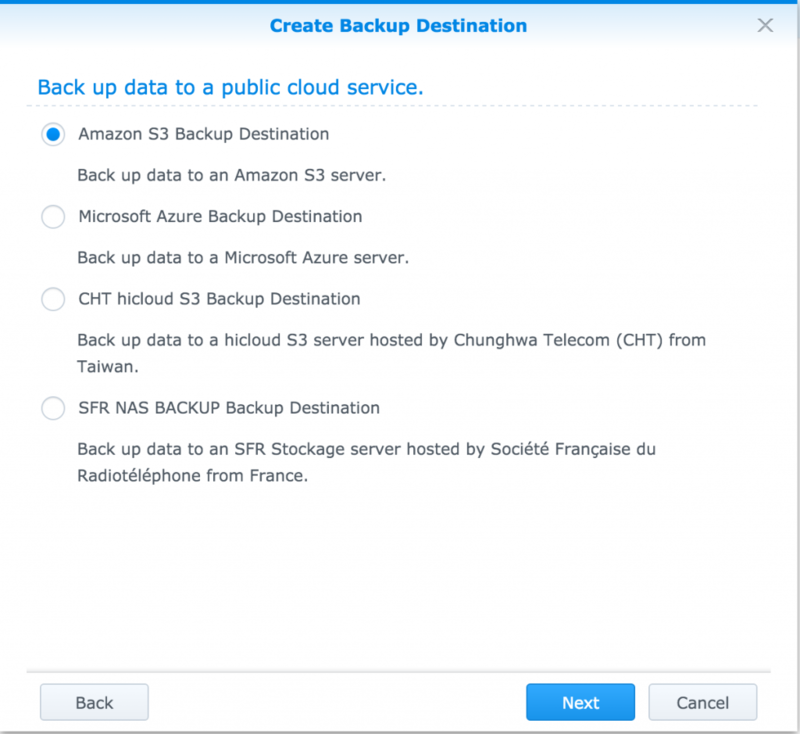 All backup sets relying on this very destination configuration will produce target backup data according to this very selection. And last not least: bandwidth limitations! It is highly recommended to consider that carefully. While testing the whole stuff, I ran into serious bandwidth decrease within my local area network as both disc stations where running locally for the tests. So, a running backup task does indeed consume quite a bit of performance! So, what is this one doing? Also, when done, it pushes a notification (by eMail, too, if configured) to inform about successful completion (or any failure happened). And when a new or updated file appears in the source, the next run would update it on the destination in the same folder (tested and confirmed, whatever others claim)! So, what about Cloud Station? Cloud Station works flawlessly under these conditions. 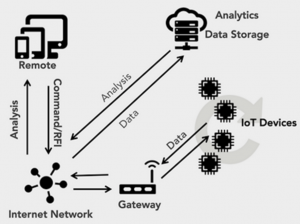 For the benefit of Mr. Adam Armstrong of storagereview.com, I’ve skipped a detailed explanation of Cloud Station and will just refer to his – IMHO – very good article! Why did I look into that, though data backup (explained before) did a pretty good job? 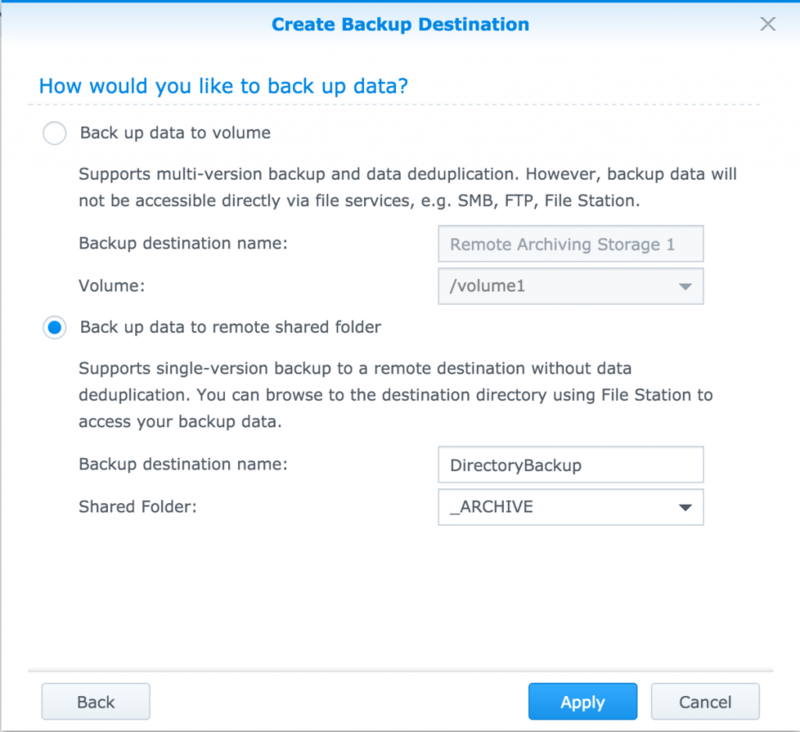 Well – one major disadvantage with backup sets in Synology is that even if you chose “readable” as the desired destination format, there is still not really a way of producing destination results which resemble the source in a sufficiently close way, meaning, that with backup tasks, the backed-up data goes into some subdir within the backup destination folder – thereby making permission management on destination data an utter nightmare (no useful permission inheritance from source shared folder, different permissions intended on different sub-sub-folders for the data, etc.). Cloud Station solves this, but in turn has the disadvantage that initial sync runs are always tremendously tedious and consume loads of transfer resources (though, when using Cloud Station between 2 NASs this disadvantage is more or less reduced to a significantly higher CPU and network usage during the sync process). 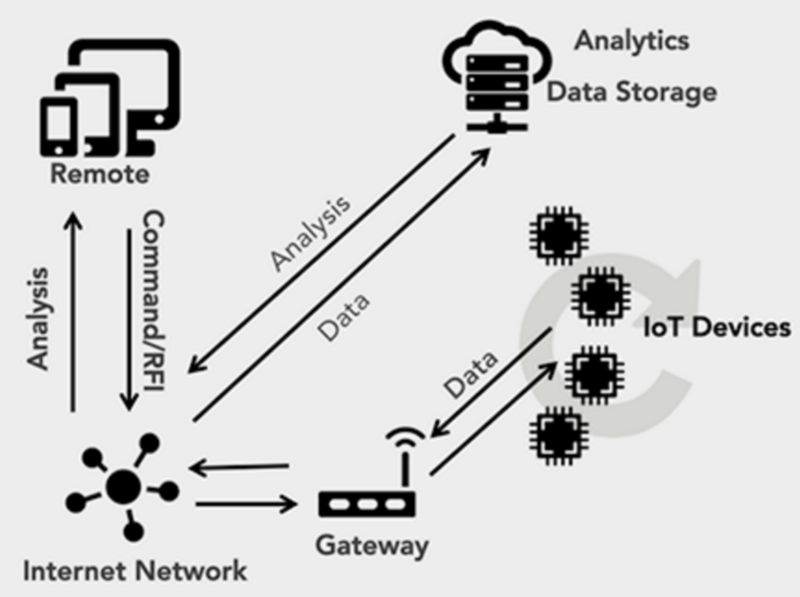 So, actually we’d be best to go with Cloud Station and just Cloud-sync the two NASs. BUT: There’s one more thing with this – and any other sync – solution: Files are kept in line on both endpoints, meaning: When a file is deleted on one, its mirror on the other side is deleted, too. This risk can be mitigated by setting up recycle bin function for shared folders and versioning for Cloud Station, but still it’s no real backup solution suitable for full disaster recovery. What the hell did I do then? Neither of the options tested was fully perfect for me, so: I took all of them (well: not fully in the end; as said, I can’t get my head around that shared folder sync, so at the moment I am going without it). Shared Folder Sync is no sync; and it leaves the target essentially unusable. Further: A file deleted in the source would – by the sync process – instantly be deleted in the destination as well. 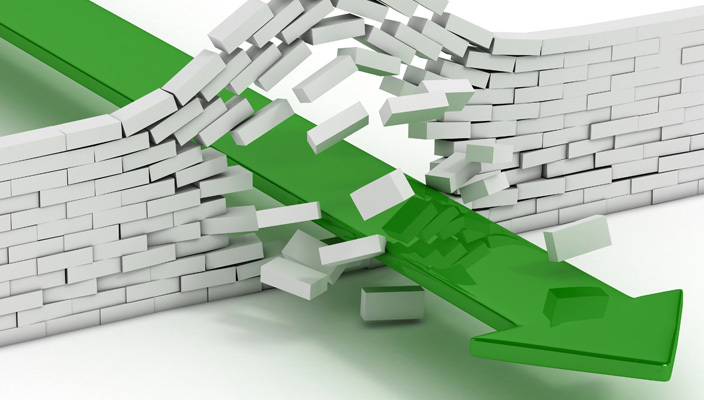 Data Backup (if chosen “readable”) just shifts data 1:1 into the destination – into a sub-folder structure; the multi-version volume option would create a backup package. IMHO great to use if you don’t need instant access to data managed equally to the source. Cloud Station: Tedious initial sync but after that the perfect way of keeping two folder trees (shared folders plus sub-items) in sync; mind: “in sync” means, that destroying a file destroys it at both locations (can be mitigated to a certain extent by using versioning). Business projects are “Cloud Station” synced from the office NAS (source and master) to the home NAS; all devices using business projects connect to the office NAS folders of that category. Media files (photos, videos, MP3 and other music, recordings, …) have been 1:1 replicated to the new NAS by a one-time data backup task. 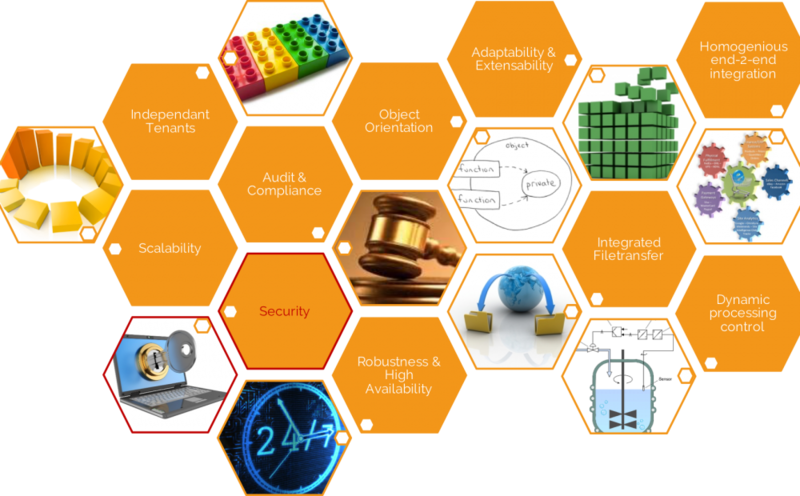 At the moment, Cloud Station is building up its database for these shared folders and will maybe become the final solution for these categories. Master and source is the home NAS (also serving UPnP, of course); the office NAS (for syncing) and all devices, which want to stream media or manage photos, connect to this one. Archive shared folders (with rare data change) have been replicated to the new NAS and are not synced at the moment. I may go back to a pure incremental backup solution or even set some of these folders to read-only by permission and just leave them as they are. Will that be final? Probably not … we’ll see. Do you have a better plan? Please share … I’m curious!